The thyroid Cartilage is the first and the largest of the nine cartilages that form the larynx in the throat. It protects the vocal cords. As a cartilage, it is a firm and flexible connective tissue. It is composed of 2 large plates that join creating a protrusion at the front of the neck that is more prominent in males than in females. This protrusion is considered a male secondary sexual characteristic. It’s Adam’s apple. Despite its name, it has got no relation with the thyroid gland, its functions or its processes. The larynx is an organ present in the neck. It is commonly known as the voice box, as it houses the vocal chords. The larynx is involved in the production of sound and the manipulation of the pitch and volume of the voice. Its other functions include helping in breathing and protecting the trachea from aspiration of food. The larynx has a total of six cartilages that provide responsibly for its protection and support. Out of the six cartilages, three are paired, and three are impaired. 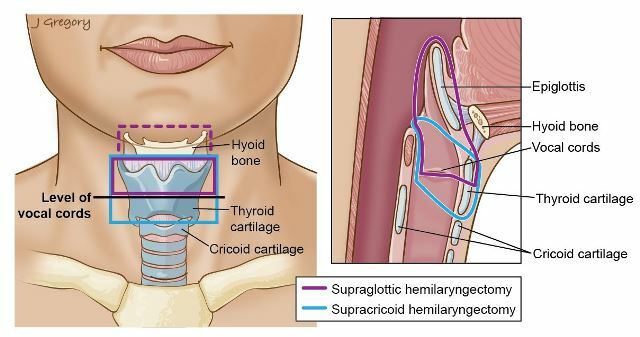 The thyroid cartilage: it forms Adam’s apple. It is found to be larger in males. It is connected to the hyoid bone by the thyrohyoid membrane. The cricoid cartilage: this attached to the top of the trachea. It is attached to the thyroid cartilage by the cricothyroid ligament. It consists of a ring of hyaline cartilage forming the inferior part of the larynx. The epiglottis: this cartilage is large, elastic and leaf-shaped. Its primary function is to protect the glottis. The arytenoid cartilages: they are triangular structures that control the position and tension of the vocal chords. The corniculate cartilages: they are horn-shaped and elastic. They are found in each arytenoid cartilage. The cuneiform cartilages: this is a pair of club-shaped structures anterior to the corniculate cartilages. The muscles that form the larynx can be intrinsic or extrinsic. The intrinsic muscles can be phonatory or respiratory. Phonatory muscles help in voice production while the respiratory muscles are made room for breathing by separating the vocal chords. The extrinsic muscles can also be phonatory or respiratory. They support and maintain the larynx within the trachea. The phonatory muscles can be either adductor (lateral cricoarytenoid muscles and arytenoid muscles) or tensors (cricothyroid muscles and thyroarytenoid muscles). The respiratory muscles mainly include the posterior cricoarytenoid muscles. The innervation of the larynx is mainly done by the superior and recurrent laryngeal nerves and the vagus nerve. Injury to the nerves may cause weakened phonation, hoarseness, and difficulty in breathing. The functions of the larynx include protection and prevention of entry of matter into the lower airway, sound production, ventilation control, abdominal fixation, coughing and acting as a sensory organ. a. Protection is the most important function of the larynx. It does so by preventing foreign substances from entering the lungs. This is achieved by coughing and other reflex actions, as well as throat clearing. These actions are required for the clearance of the respiratory passage, but they imply strain on the vocal chords. b. The larynx also helps in abdominal fixation. This consists of filling the lungs with air to stiffen the thorax. c. The larynx helps the epiglottis in preventing the entry of food into the lungs. If food is ingested by mistake, the larynx produces an intense coughing to avoid its entry into the lungs. d. The larynx is the house of generation of the sound and the manipulation of its pitch and volume. It creates pressure differences required for the production of sound similarly to the lungs. The larynx can be injured due to several causes. A damaged larynx can give rise to hoarseness, alteration or loss of the voice, pain in the throat or ears and difficulty in breathing. a. Laryngitis: the most common inflammatory disease of the larynx. It occurs due to infections. Its symptoms are throat soreness, hoarseness and breathing difficulty. b. Fractures: they give rise to coughing up blood, throat ache, breath shortness, crackling sound. It may cause displacement and edema of the larynx and asphyxia. c. Poisoning with acids or alkalis (vinegar, washing liquids, ammonia, caustic soda): its signs are burning sensation on the lips, throat ache, the vomit of blood, abundant salivation. d. Fibroids and papilloma: they are benign tumors that cause hoarseness and pain in the throat. e. Larynx cancer: it can cause dryness, breathing difficulty, throat pain that extends to the ear, a sensation of a foreign substance in the throat. As the tumor extends, the tone of the voice changes gradually and other symptoms start appearing like weight loss and general weakness. f. Falling of foreign bodies into the larynx from the oral cavity: this is observed in children that have the habit of keeping small objects in their mouth. If the foreign body cannot be expulsed by coughing, it slips down into the trachea and reaches the bronchi. It may develop asthma in the patient. The symptoms observed are convulsive coughing, throat ache, blue face and lips, hoarseness. If there is a complete blockage of the respiratory passage the suffocation produced may lead to death. g. Gastroesophageal refluxes: they cause heartburns, throat pain, burping, pressure on the abdomen and above it. The thyroid cartilage, like any other cartilage in the human body, is overall a smooth but firm tissue. The hardness and elasticity of cartilages are between that of a bone and a muscle. Their main function is to cover and protect the end of the bones at the joints or to hold the body tubes open. Cartilages are made of specialized cells known as chondrocytes. These cells form a collagenous extracellular matrix. This has proteoglycan and elastin fibers in abundance. Cartilages do not contain nerves or blood vessels. Their nutrition takes place due to diffusion. The cartilage tissue is unable of self-repair. This is the most common type. It is found in the ribs, nose, larynx, and trachea. It is a bone precursor. When it is fresh, it has a glassy appearance. It is composed of fine collagen fibers that are widely dispersed and provide strength. It has a perichondrium. This type of cartilage is the weakest among the three. This type of cartilage has alternating films of hyaline cartilage matrix and thick collagen fibers. This feature makes it the strongest type of cartilage among the three. It does not have a perichondrium. It is usually a transition surface between a ligament and hyaline cartilage. The cartilage is found invertebral discs, joint capsules, and ligaments. This type of cartilage is found in the external ear, epiglottis, and larynx. It gives elasticity, strength, and maintenance of shape of particular structures. It has a perichondrium. Its chondrocytes form a thread-like network of elastic fibers inside the matrix. The thyroid cartilage is located between the C4 and the C5 vertebrae. The cartilage consists of two plates, known as laminae. They have a quadrilateral shape and extend covering each side of the trachea. They form the lateral portions of the thyroid cartilage. The left lamina and the right lamina are separated posteriorly.They fuse at the front of the neck at an angle of 90 to 120 degrees. Each of the plates has a leaning ridge with a small rounded projection (tubercle) both up and down. The left lamina and the right lamina are separated posteriorly. The posterior borders project as superior and inferior horns. The superior horn attaches to the hyoid bone upwards by the thyrohyoid membrane. It is narrow and long, finishing in a cone-shaped structure that connects to the thyrohyoid ligament. The superior horn is also known as “cornu.” The inferior horn connects to the cricoid cartilage downwards with the help of the cricothyroid membrane in the midline and the cricothyroid muscles at the sides. It is thick and short and has a minor forward inclination. The superior thyroid notch is V-shaped and is immediately at the point of fusion. The inferior notch is less noticeable and located along the base of the cartilage in the midline. 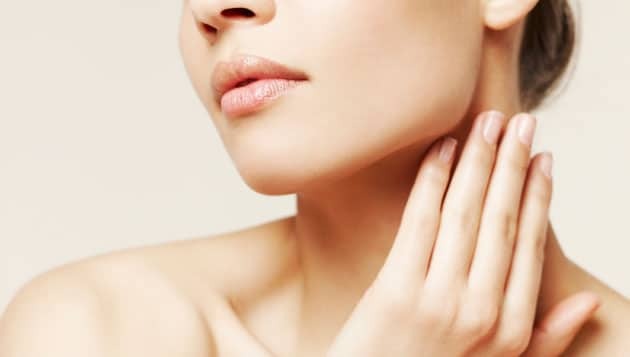 The angle created by the laminae of the thyroid cartilage gives rise to a lump that is larger and more prominent in men, Adam’s apple. It is considered to be a secondary sexual characteristic in males. It develops in size during the teenage years in both men and women. The difference in the size of the cartilage between men and women is due to the angle formed by the two portions of the cartilage. In men, the angle is approximately of 90 degrees while in women it’s 120 degrees. This gives men a sharper structure on their neck. Unlike what the name may suggest, the thyroid cartilage does not have any relation with the thyroid gland or its processes. 1. 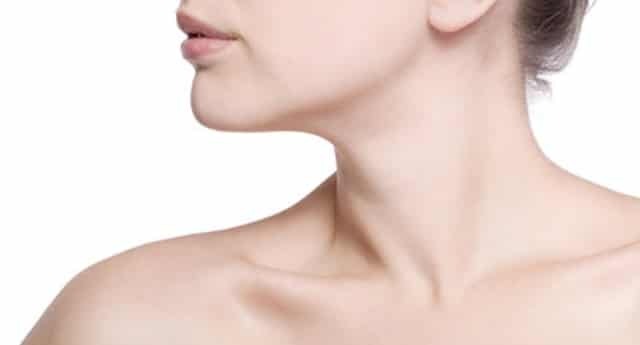 The thyroid cartilage contains the vocal cords, which are also known as vocal folds. It provides protection and support to them. 2. The vocal cords are folds of membranous tissue that project inwards from the larynx sides to form a slit across the throat. The vibration of their edges with the help of an airstream produces vocalization. 3. When the thyroid cartilage moves, it changes the tension levels creating variations in the human voice. These variations are also influenced by the angle that the thyroid cartilage forms with the cricoid cartilage. The Bigger size of the thyroid cartilage leads to a deeper voice, which is what happens in the case of men as compared to women. 4. The laminae of the thyroid cartilage move along with the cricoid cartilage at their place of joining, which is the cricothyroid joint. This links both the structures and helps in changing the tension and pressure of the vocal chords, thus adjusting the human voice pitch. 5. Many muscles find their attachment point in the thyroid cartilage. A damaged cartilage can lead to pain, stiffness and inflammation or swelling. But pain on a cartilage does not always mean that the cartilage has been damaged. You may experience pain in the thyroid cartilage because of various reasons. These include a sore throat, increased tension on the surrounding muscles or cartilage fracture. Sometimes the pain source is located in areas around the cartilage and not the cartilage in itself. This condition involves irritation, pain, itchiness, and inflammation of the throat. You may find difficulty in swallowing food and liquids. The most common causes of a sore throat are common colds and viral or bacterial infections. A sore throat can be treated at home with warm salt water and anti-inflammatories, but it’s advisable to visit a doctor when the pain lasts more than a week. Throat tension and vocal tiredness are frequent complaints. They occur from using the voice in excess or incorrectly. But they can also take place due to dehydration. The tension in the throat leads to an abnormal sound, which might be described as tin, tight and breathy. It also causes pain and voice problems. This stress can be relieved by relaxation exercises. Major fractures with severe damage to the larynx. After a complete diagnosis and determination of the severity of the damage, the doctor will decide on a treatment that includes conservative, non-surgical or surgical therapies. There might be other, less known causes of pain in the thyroid cartilage region. The symptoms may be associated with different types of health issues. That’s why it is better to visit the doctor and let them check and decide for the most appropriate treatment. 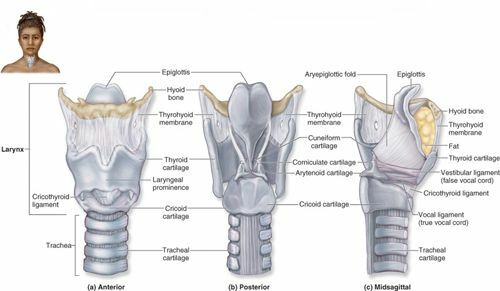 The post Thyroid Cartilage :Definition,Anatomy,Function appeared first on MavCure.